You can’t see it, smell it, or taste it… but it can kill you… a gas known as the “silent killer”… carbon monoxide. Carbon monoxide (CO) is produced by common household appliances such as gas water heaters, gas clothes dryers, gas cooking ranges, ovens or cook tops, wood burning stoves, charcoal grills, propane heaters, gas wall heaters. Early symptoms of CO poisoning include headaches, dizziness, nausea, and fatigue and are often mistaken for the flu because the deadly gas goes undetected in a home. Advanced symptoms include confusion, depression, impaired judgment, hallucinations, agitation, vomiting, drowsiness, fainting, memory problems and visual changes. 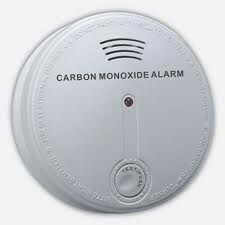 California’s Carbon Monoxide Poisoning Prevention Act of 2010 (SB183) requires that all residential property be equipped with a CO detector outside sleeping areas and all levels of a house including basements.